Rectangular bin is great for medium to large sized merchandise. 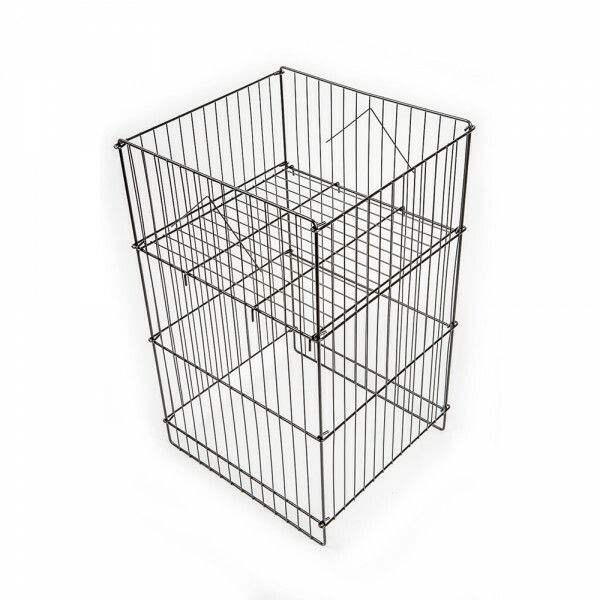 Black wire metal dump bin is perfect as an end cap solution and easier to setup. A black wire metal dump bin. This rectangular bin is great for medium to large sized merchandise as an end cap solution. It sits 2" off the floor.